On Monday’s edition of The Early Show, Big Brother 11 host Julie Chen talked about the circumstances leading up to the expulsion of Chima Simone from the Big Brother house. While no major specifics were explained, Julie mentioned that the events leading up to her expulsion will be shown on Tuesday night’s episode of Big Brother. She states that Big Brother was up against a wall and had no option but to remove her from the game. There are reports out that Chima chose to “quit” the game, but CBS’ official word suggests that she was expelled. Julie Chen suggests that we watch Tuesday’s episode and decide for ourselves. HOW ARE THE HOUSEGUESTS REACTING TO CHIMA’S EXPULSION? If youre only watching the episodes on CBS, youre missing half the story. With Chima gone, many events have transpired in the house since then. 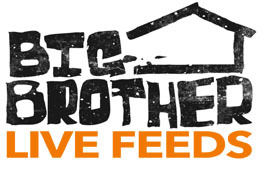 Sign up for the live feeds right here, then click here to watch some of the arguments from this week that you wont see on the TV episodes! After your 3-day free trial, its only $39.99 for the Big Brother 11 season!